Facials are a major beauty must of you want healthy, youthful and radiant skin but let’s be honest, not everyone can afford to hit up the spa or salon every week for a facial. It is possible to get all of the benefits of a soothing facial without having to spend an arm and a leg though and you can do it without even having to leave the comfort of your own home. This quick and easy DIY facial can be done in under 30 minutes and only requires a few basic purchases. While some of the components can be a bit of an expensive investment for the average woman, the money you’ll save on spa treatments in the long run helps these products pay for themselves. It’s also important to remember you don’t have to buy the most expensive products on the market. Oftentimes, the no-name store brand products offer all the benefits the more expensive brand name products offer but they’re available at a fraction of the cost. Okay, enough talk. It’s time to walk you through this quick and easy five step DIY facial you can do at home in less than 30 minutes. You should never wash your face with regular soap. It will dry out your skin. That is especially true if you’re giving yourself a facial. Facials are all about babying your skin and giving it exactly what it needs to be healthy and beautiful. Leave the soap out of it. Instead, prepare your skin for your facial by washing it with a cleansing lotion or gel. If you have dry skin or sensitive skin, you’re going to want to go with the cleansing lotion. In you have oily skin or combination skin, you’re going to want to go with the cleansing gel. Normal skinned ladies can choose either the lotion or the gel. If you don’t have cleansing lotion or gel, you should invest in some immediately. You can pick up great products at your local department or drug store. Cleansing lotions or gels are a must have product for DIY facials like this one. 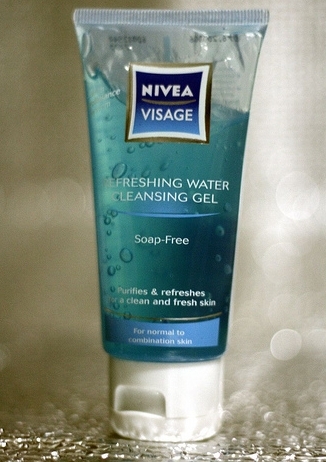 Once you’ve washed your face with your cleansing lotion or gel, it’s time to exfoliate your skin. Apply a very thin layer of exfoliating peel to your entire face, being careful not to get any of it in your eyes. Leave this layer of exfoliating peel on your face for roughly 5-10 minutes. If you’ve never had a facial or have never exfoliated your skin, I’d recommend leaving the peel on for 6-8 minutes. 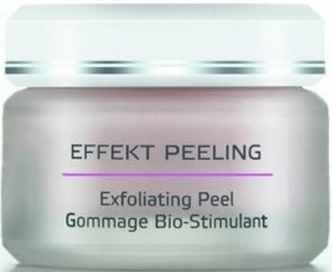 The exfoliating peel will dissolve any dry skin cells on your face and prep your skin for the next step. Once the time is up, rinse your peel off. Make sure you rinse well. You don’t want any of it left on your face when we start the next step. Again, you can go with a cheaper product here but make sure it’s safe. You can purchase something online but make sure you read the reviews. If there are no user reviews, don’t buy the product. It’s as simple as that. 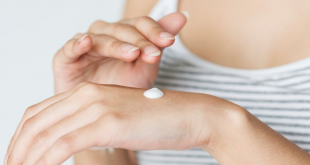 If you’re picking up something at the drug store, ask the cosmetician for advice on the right product for you. As soon as you’ve rinsed off your exfoliating peel, it’s time to apply your facial scrub. Put a little on your finger tips and massage it into your skin moving your fingers in small circles until your entire face is covered with the scrub. You don’t need a whole lot of the scrub to do the trick. It should only take you 30 seconds to 1 minute to cover your face. Your facial scrub basically does what your exfoliating peel does but at the next level. 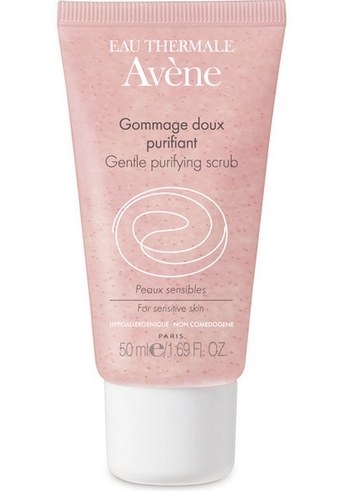 While the exfoliating peel dissolves dry skin For this step, I like using Avene Gentle Purifying Scrub. I picked it up on a whim on drugstore.com and was thrilled with the results. At under $20 (plus shipping), it’s a bit more expensive than some of the other facial scrubs out there but it’s also still less expensive than some of the brand name facial scrubs and the results are hard to argue with. 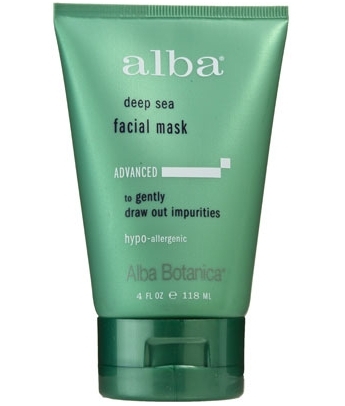 I swear by this stuff – never do this facial without it. After your facial scrub comes your facial serum. 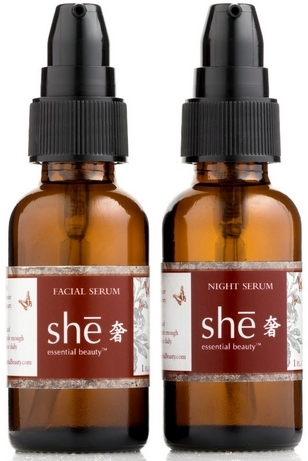 You can splurge on your facial serum if you like as you’re only going to be using a few drops of it each time you do your facial so a single bottle tends to last quite a while. Apply a few drops after the facial scrub but before the facial mask to make sure you get the most bang for your buck out of your mask. Basically, a facial serum just contains higher levels of the active ingredients you’ll be using in your mask. You can go with a gel serum or a creamy serum. I prefer creamy serum but this one is really your call. Because of the higher level of active ingredients, a few drops really will go along way so make sure you don’t use too much. Clay Masks: Clay masks are good for absorbing oils and tightening up the skin so they’re a great choice for ladies with oily or normal skin. Cream Masks: Cream masks offer deep hydration and can help to plump up skin making them the perfect choice for ladies with dry or normal skin. Gel Masks: Gel masks are good for giving your skin a little extra hydration so they’re a great choice for ladies with dry or normal skin. Choose your facial mask type carefully, paying close attention to what you need and what you want the mask to do for you. Again, if you aren’t sure, ask a cosmetician at your local drug or department store. They can point you in the right direction. Once you have the right kind of mask, you’re going to apply it to your entire face over the serum. You’re also going to want to apply it to your neck to make sure you’re taking care of the skin on your neck as well. Allow the mask to dry for ten minutes and then rinse it off. Make sure you rinse it off well. Finish up by applying a little moisturizer and you’ve just done your very own DIY facial in five easy steps! these are so helpful and easy steps & it really works….